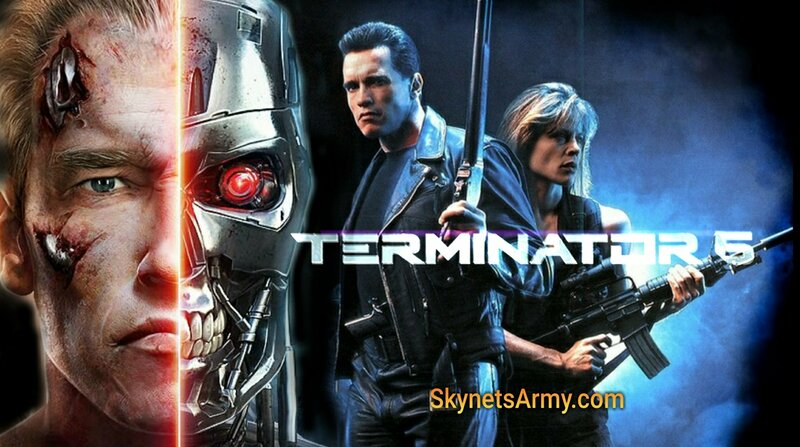 Arnold will play a TERMINATOR in T6, the very same T-800 from T2! So first let’s find out how was the evening’s experience was a whole? Considering the tickets to this event and screening were free to begin with, we are even more impressed that Paramount also gave out free popcorn and refreshments as well. Nicely done Paramount! Now let’s find out who else of importance was there, other than James Cameron and Tim Miller. Neither Linda Hamilton nor Arnold Schwarzenegger made an appearance at the Paramount Theater last night, but while Linda’s involvement captured the attention of the media, what Todd learned about Arnold Schwarzenegger was equally exciting. It appears Arnold Schwarzenegger will not be playing a human in T6, but a Terminator… the T-800 Model 101. And here’s the kicker: Arnold will seemingly be playing the Terminator from Terminator 2: Judgment Day, the exact one lowered in the molten steel! So it appears the new sixth Terminator film with have some mind bending alternate timelines, and one may well be a reality where Sarah Connor and the T-800 Model 101 survived together after the events of T2, and audiences catch up with the aging characters 30 years later. Wow. A big thanks goes out to Todd. Previous PostLINDA HAMILTON will be back for “TERMINATOR 6”!Next PostNew Artificial Muscle will make Robots 15 times stronger than Humans. Okay, theorizing time: If time is going to be bent and/or folded, it’s possible that this Uncle Bob came from another timeline where he was not lowered into the steel, and has somehow jumped into the mainstream T2 continuity. Either that, or moments after the film ended, Sarah and John decided that they wanted a robot dad, drained the steel, yanked out the half-melted remains of Uncle Bob, and rebuilt him somehow. The T800 flesh would be completely disintegrated with the inability to regrow. I suggest your alternate timeline theory remains the most likely. Maybe in this new timeline the T1000 successfully kills young John Connor leaving Sarah and the T800 to decide on how to fill the leadership void. I hope the movie doesn’t confuse people with tons of different timelines. So, just to clarify… I was at this event. James Cameron and Tim Miller made it clear that this was a direct sequel to T2 and the other films don’t exist outside of T1. But, he did not imply in any way that this film’s Terminator is the same “Uncle Bob”. Also, Tim Miller made it clear that there would only be ONE timeline. He was never a fan of there being multiple timelines in the series. He said there is only ONE several times and James concurred. The T5-genysis terminator was so advanced it could do anything but we didn’t really know it so it didn’t count. The T-1000 was infinitely better than that, even though it had limitations and could be damaged.